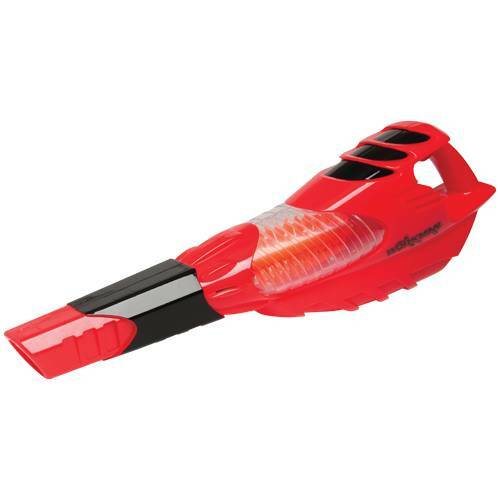 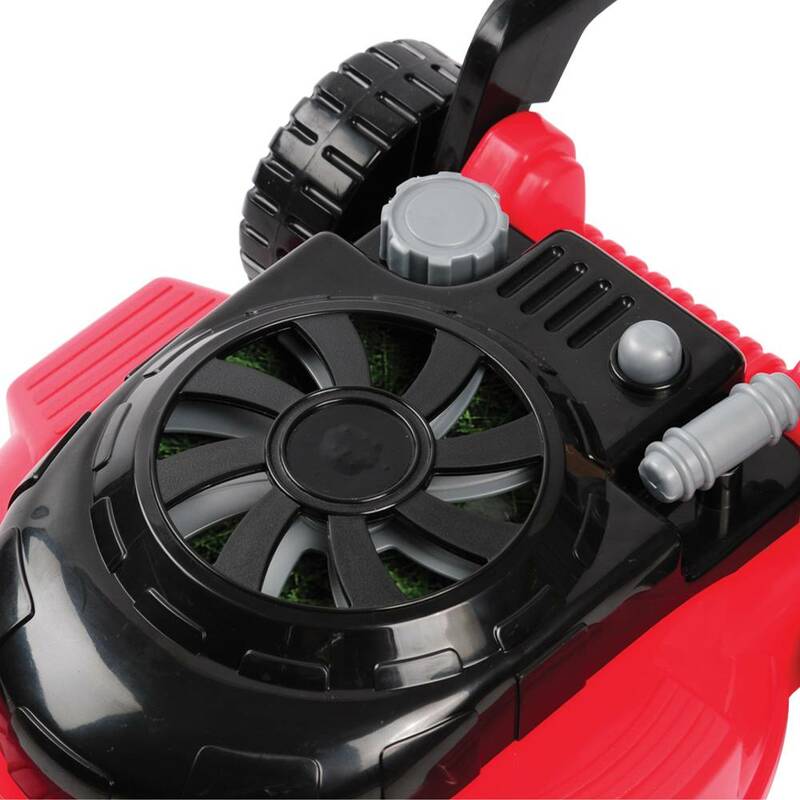 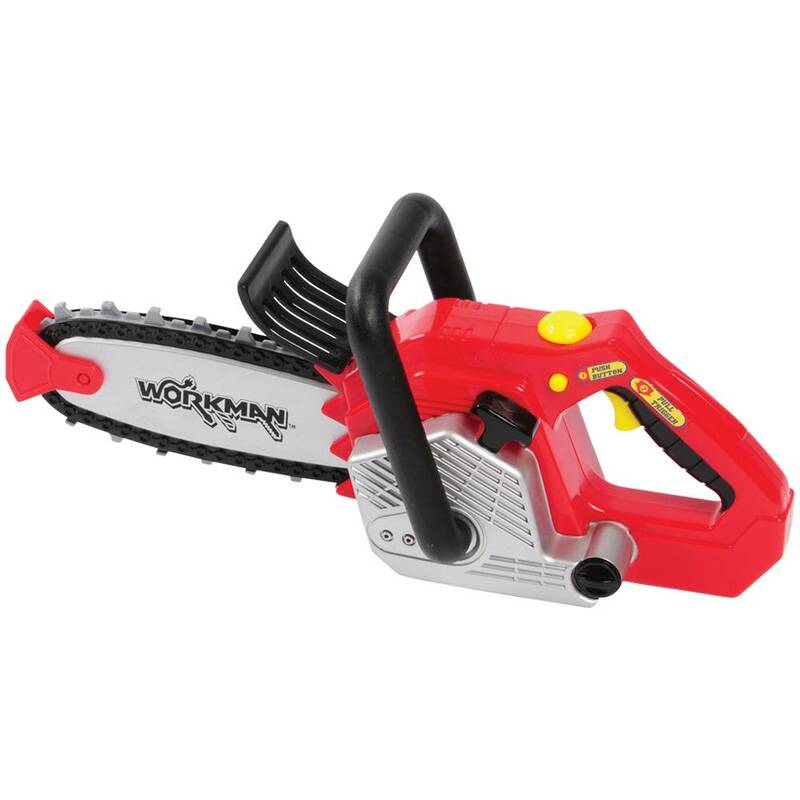 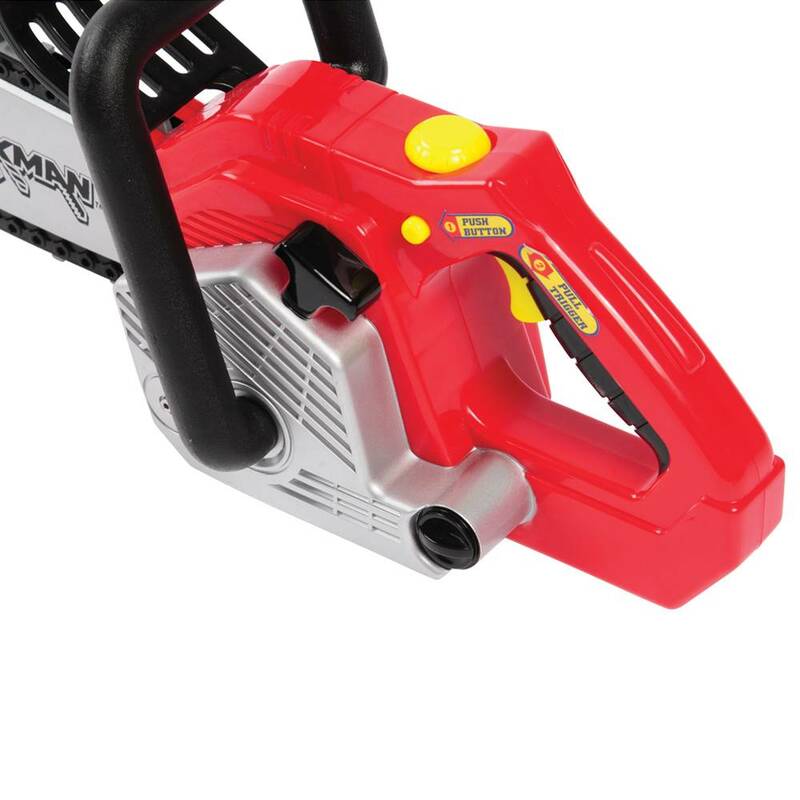 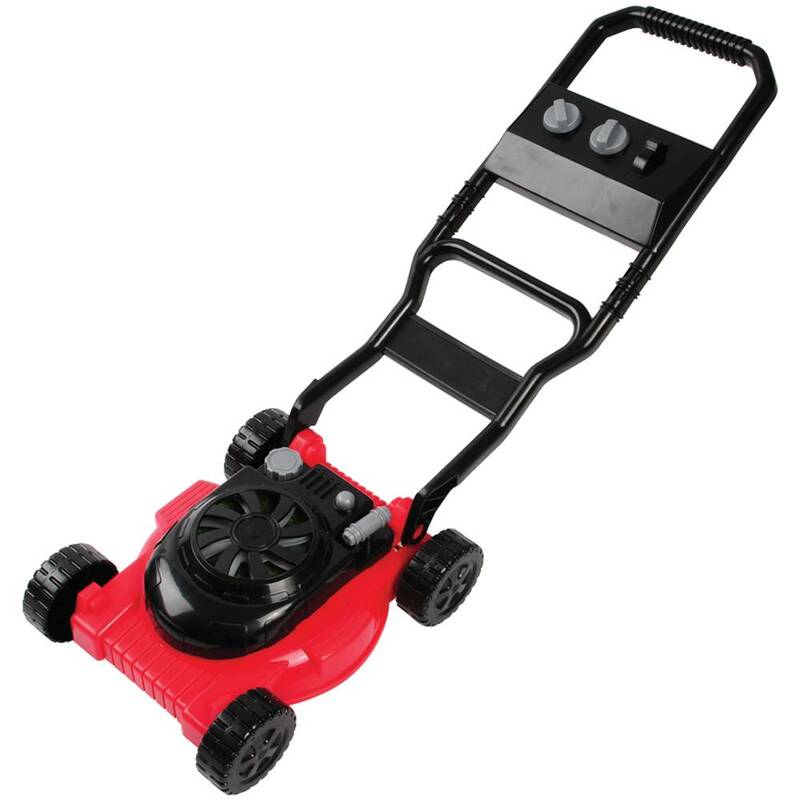 Mower is 11 ½" L . x 9" W. x 22" H.
Working alongside dad and mom in the yard has never been easier. 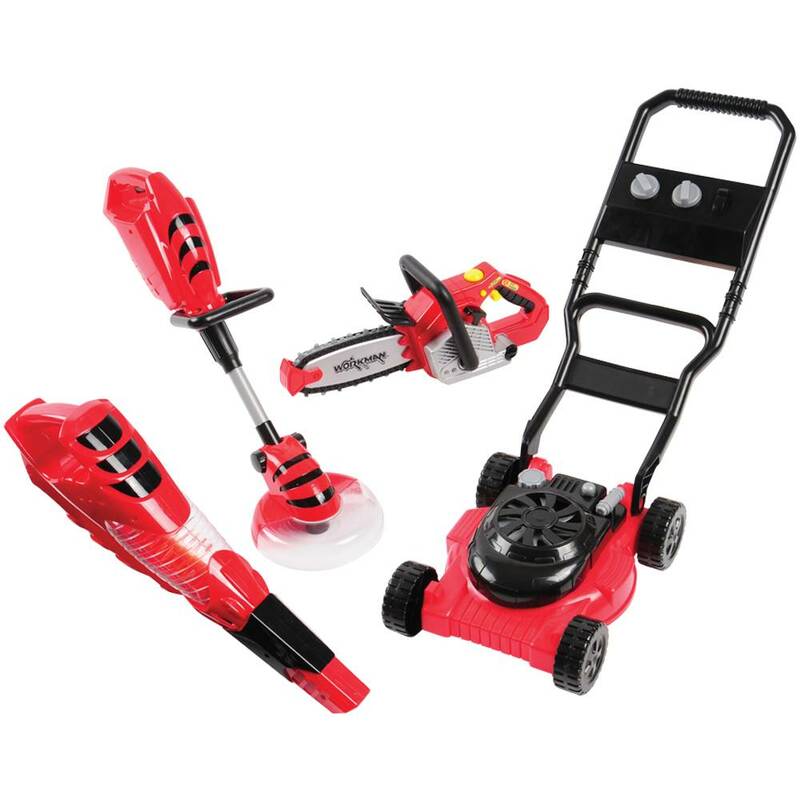 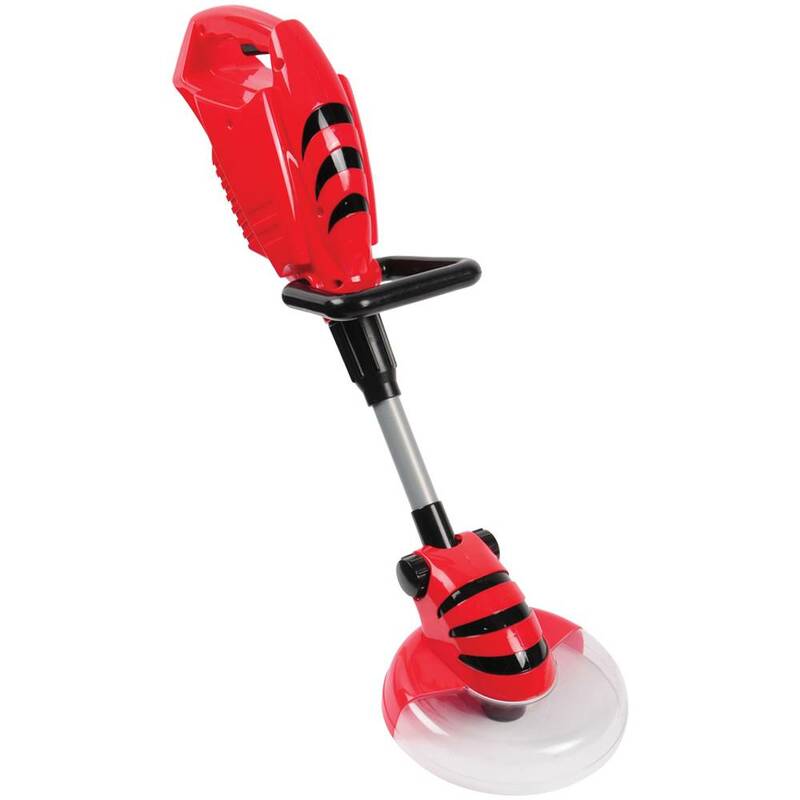 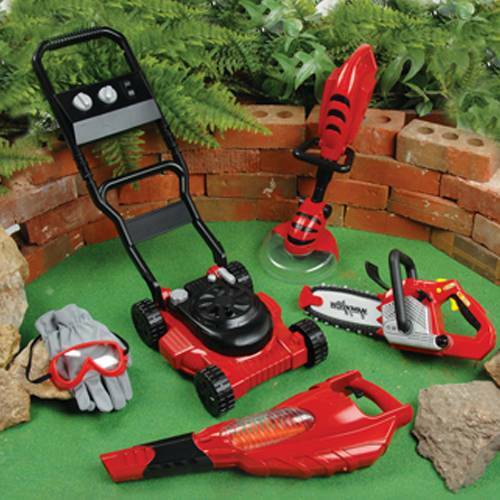 This set of power garden tools for kids is durably made of plastic with realistic action and sound effects. 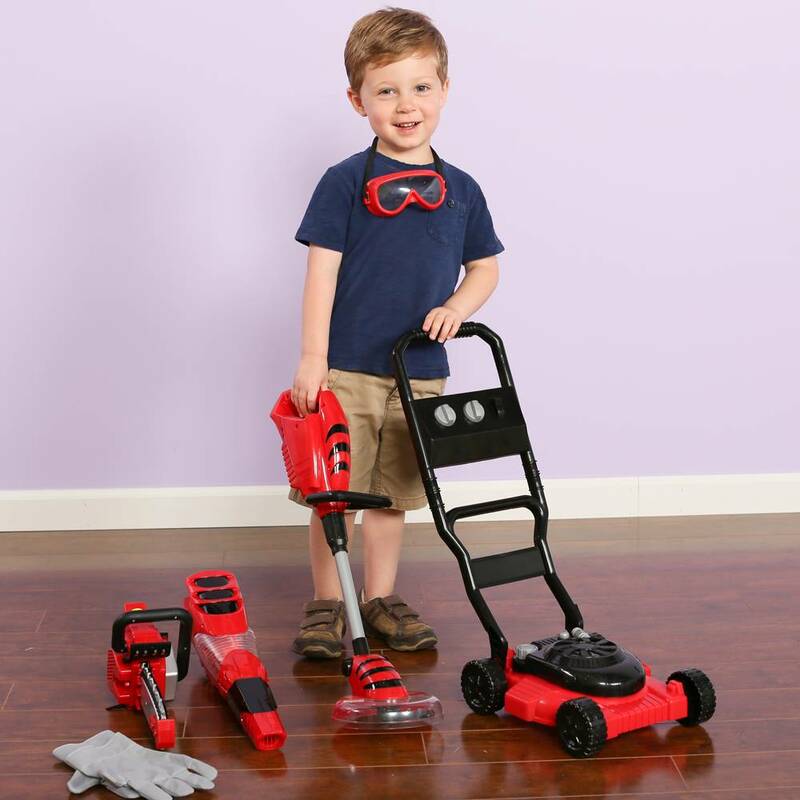 Includes work gloves and goggles.